Search Engine Optimisation (SEO) is an ever-changing landscape and one you can get lost among pretty quickly if you don’t keep a map on-hand at all times. That’s why we’ve put together this handy guide that should help you stay on top of things in the coming year. Within this guide, you’ll find info on some of the most recent developments that you need to be sure you’re well aware of. And there’s also some tried-and-tested methodology that remains as relevant today as it has done for years. Since Google rolled-out its mobile-first index, the search engine behemoth has basically been ranking the mobile version of your website as the “true” version. And that’s a very big deal indeed. Since most websites designed before 2017 were built on desktops/laptops and with the desktop/laptop user interface in mind as the primary device a site would be viewed on, there are literally hundreds of thousands, if not millions of sites that do not play well with mobile devices. Of course, there are plenty of sites out there that wanted to make their site responsive to all screen sizes, so they built that in right off the bat. And there are others that went down the m. route, creating a completely separate version of the website that was designed specifically for mobile devices (which is also no longer consider best practice, by the way). But for countless others, this is a significant area that needs to be addressed as a high priority. This can be as big a problem as rendering issues that means the site doesn’t get displayed on mobile devices properly at all, skewing the content, breaking the layout and generally making it an experience that lasts a mere second or two as the user bails out to find a site more suitable. But it can also be a more subtle issue, with developers simply ‘hiding’ content from mobile devices, a perfectly acceptable technique that allows the site to be displayed properly (or at least more pleasingly). However, there have been arguments made that hidden content is actually devalued by Google. There’s nothing that will send a user away from your site quicker (and we’ll discuss the implications of that shortly) than a site that looks broken, messed-up or is a pain to deal with when viewed on a mobile device. Switching your site to be fully responsive to all device sizes and configurations, if you haven’t done so already, is an absolute must. Run your site through Google’s own Mobile-Friendly Test tool and work through the recommendations it makes to get your site up-to-scratch. Each of the following ranking factors all fall under the broader topic of Google’s RankBrain algorithm. Without getting in to the details too much, RankBrain is basically a machine learning system which Google uses to rank the search results accordingly. Well, in a nutshell, it assesses the way users interact with the search results and ranks web pages accordingly. We already know for sure that RankBrain uses Dwell Time as an important ranking signal because Google employee Nick Frost (Head of Google Brain Canada), has more or less said so, stating during the annual Think Auto Google event that RankBrain factors when “someone clicks on a page and stays on that page, when they go back” and so on. Which makes perfect sense, doesn’t it? Chances are, the reason you spend a lot of time on any given page is because you like the content are happily devouring everything in front of you. A study by Search Metrics actually puts the average time spent on a page found within the top 10 as 3 minutes, 10 seconds. Which, if you’ve spent any time digging around in your Google Analytics dashboard will confirm, is no mean feat! Providing you have content that proves to be engaging and worth hanging around for (by a great many number of people, it must be said – asking your mother to open your page before she goes to work isn’t gonna cut it, I’m afraid!) you can expect Google to notice. 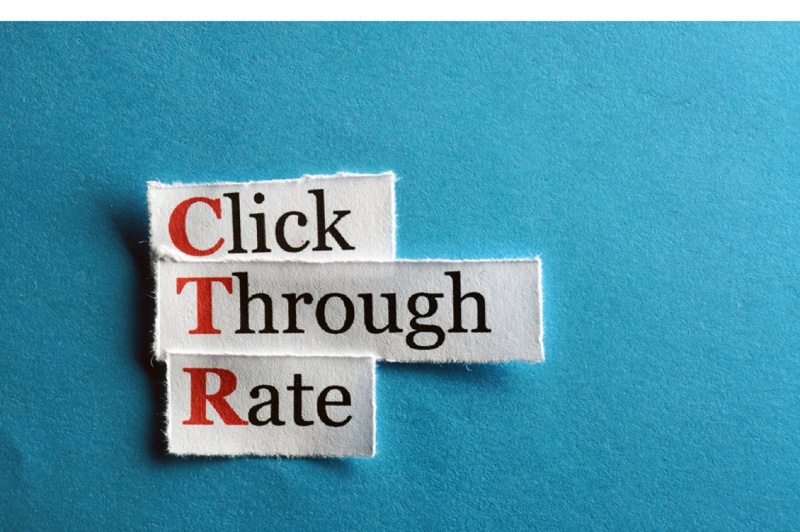 The click-through rate (CTR) is simply defined as the number of times a page gets clicked on versus the number of times it gets shown to people. If the page that hosts your article gets shown to 100 people inside a Google search and only one person clicks on it, that page will have a CTR of 1%. It should therefore be quite obvious the reasons Google places a favourable CTR as a high priority. Why would Google continue to give a page prime real estate on Page #1 if no one ever clicks on it?! If you’re article is currently situated on page #2, but people continually find it and click on it, Google isn’t going to keep it buried in the wasteland of their second page for very long. It’s important to remember that Google is, and wishes to remain, the number one search engine on the planet. At a fundamental level, the way it maintains this status is by giving the users exactly what they’re looking for. So, rest assured, if what users are looking for currently resides on Google’s second page, their algorithms are going to do something to correct that sooner or later. It is critical that you pay close attention to the CTR of your top pages and monitor if Google is indeed littering the results page with their own form of results. If a user can find a complete answer in one of Google’s answer boxes, for example, then they may not bother clicking on your page at all. Keep an eagle-eye on this and tweak your titles and meta descriptions if you start to see it slip. A ‘bounce,’ as defined by Google, is a single-page session on your site. In other words, imagine a user types their search term in to Google and chooses to click on your website. After landing on your page – let’s once again say it’s an article – the user may spend a decent amount of time on the page (which is the Dwell Time factor discussed above), reading the engaging content you’ve created, watching any videos you may have placed on the page and finally they decide they’ve found what they were looking for. They either click the back button to return to Google or close the browser entirely. What they don’t do is navigate to any other pages on your site. And that, my friends, is a bounce. It’s debatable as to how important the bounce rate actually is as a ranking factor. And also, whether a high bounce rate is a good or a bad thing for your site. If the article the user has read is so detailed and in-depth that it’s given them absolutely all the info they craved, then surely that’s a good thing! The lack of clicks to other pages on your site should be irrelevant in this scenario. If users are repeatedly clicking back to return to Google and then choosing a different page to continue their search, that is a very strong indication that your page is not meeting their desires or intent. Or perhaps the page is just a bit rubbish. Either way, that’s not an action you want happening too often, so be sure to keep an eye on bounce rate, but factor in the signals provided by Dwell Time and CTR as well to get an overall picture of how that page is performing. As you can see, it’s not straightforward, which is precisely why RankBrain takes bounce rate, time spent on page, CTR (and a few other signals) as a whole to determine your page’s suitability to the user’s search query. The UX signals that Google considers as part of RankBrain take into consideration CTR, Dwell Time, Bounce Rate etc. for a very good reason – if the page is of a high quality, all these signals should be positive. Spending a lot of time digesting the content they find indicates that it is engaging and/or educational and/or useful in some way to the user. Not hitting the back button and looking for an alternative page to continue their search means they’ve found what they were looking for on your page. If your web pages are not of a high quality, Google will be able to tell and your rankings will drop like a stone. This is non-negotiable and the quality should never make way for quantity’s sake. But it is without question that Google favours in-depth, comprehensive content when ranking is concerned. As mentioned already, Google’s main aim is to present the user with the best result available, according to the phrase that was typed into the search bar. And, without question, the best way to cover an idea or topic is to go all-out, with remarkably detailed content. Content that is long-form is generally considered to be best practice for this, meaning a word count in the 1,800 – 2,000 region at least. Make sure your content is evergreen i.e. it is not significantly affected by the passing of time and remains relevant for many months, or even years, after it has been published. You may have to update it every once in a while and tweak the graphics/images that may not have stood the test of time. But if you focus on evergreen content as a general rule, you’ll improve the chances of it gaining backlinks, of it gaining traction in Google’s SERP and of it being shared on social media, simply by increasing the longevity of your work. Finally, make it easy for Google to categorise your page accurately by giving it crystal clear context using LSI keywords. 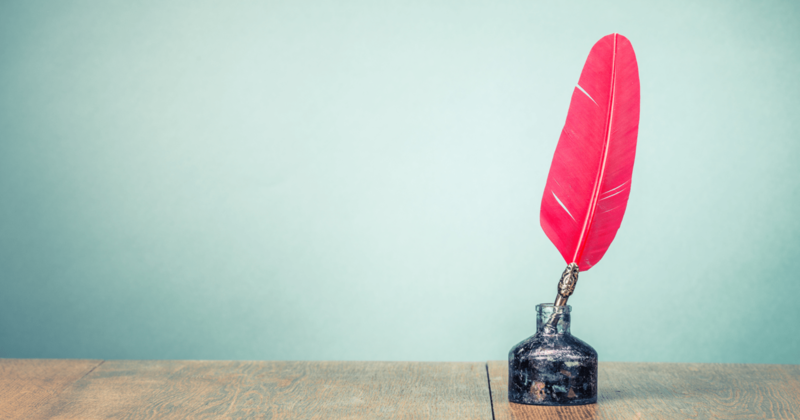 LSI keyword are, put simply, words and phrases that relate to the topic your content is about. When a user types the word ‘Frozen’, for example, they may be thinking of the Disney film, Madonna’s 1998 hit, or the solid state of water! Each of the pages will have to provide context via LSI keywords (phrases such as ‘Disney,’ ‘animated film,’ ‘Let It Go’ and so on will let Google know that that page is about the movie Frozen, and not the American ‘Queen of Pop’). Accurate and clever use of LSI keywords can set your pages apart from the competition, so don’t take them lightly. We’re not sure in what order Google places the onus of each (though general consensus places RankBrain in the number three spot), but since their all so intrinsically linked anyway, that’s something of a moot point. If you don’t have a great backlink profile, you’ll never be able to successfully climb the ranks of Google. And you’ll certainly never break into the top 10 (i.e. Page #1). You will struggle in a major way to acquire good backlinks if your content is weak and isn’t comprehensive and in-depth. And if you’re not in the upper echelons of Google in the first place, then the ranking signals of RankBrain aren’t going matter all that much to you anyway! And, more specifically, focus on acquiring backlinks from a number of different sites; the more sites and the higher the authority those sites hold, the better. It’s even been suggested that the number of referring sites linking to a page is more closely related to that page’s rankings than anything else. Make sure that from now on – until Google tells us otherwise – a strong backlink profile is of the utmost importance if climbing the ranks of Google is a high priority for you. That wraps up some of the most important ranking factors you should be considering for the coming year. Google has dozens, probably hundreds, of different ranking factors, so we haven’t covered each of them here. We’ve highlighted some of the most important and significant areas that we recommend you focus your attention on. So, how are you going to be optimising your content in the coming 12 or so months? Do you think we missed out any of the major ranking factors in our guide?